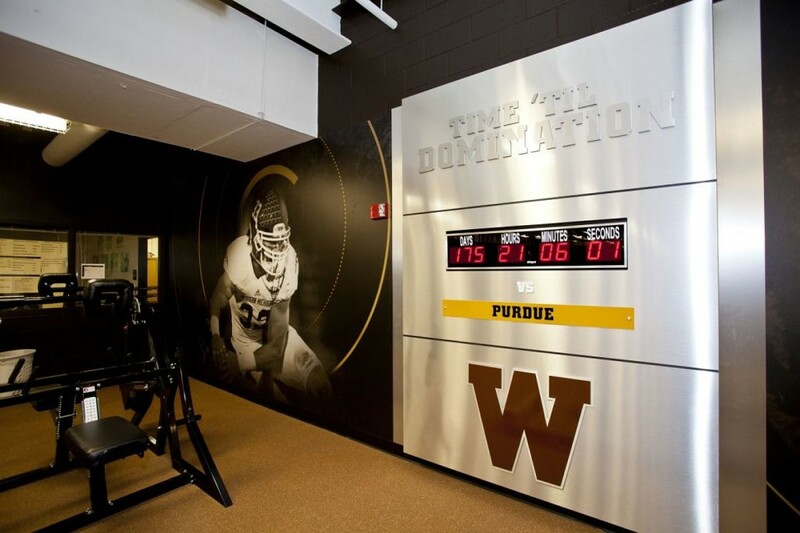 Western Michigan University - Byce & Associates, Inc.
As a component of the Athletic Facility Renovations tied to the arrival of new football coach P.J. 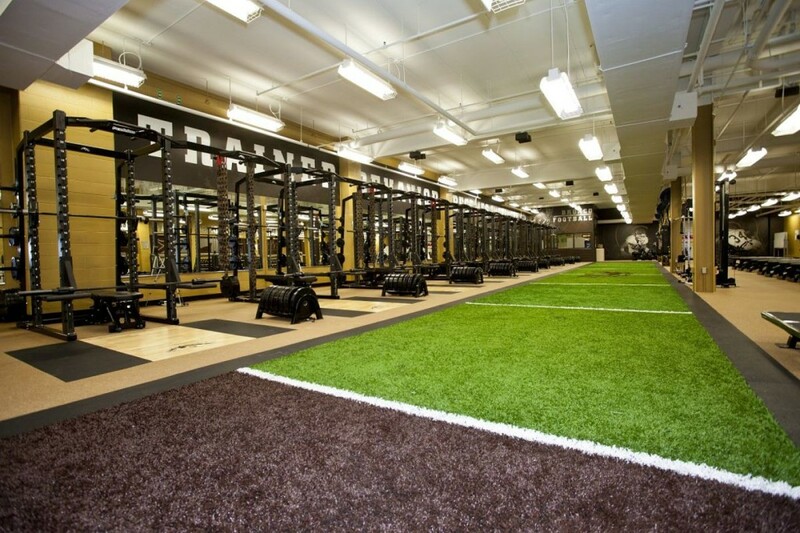 Fleck, the existing Weight Room that serves Waldo Stadium and is housed in Bill Brown Alumni Center was renovated. The renovations and upgrades were intended to not only improve the facilities and how they function but also to strengthen and enhance the Bronco brand. The scope of the project included Architectural, Interiors, Structural, and Electrical renovations as well as services and equipment provided by design consultants, most notably for the graphic design and branding packages, and vendors contracted directly by WMU whose equipment and materials were coordinated and interfaced with as part of our overall project services. 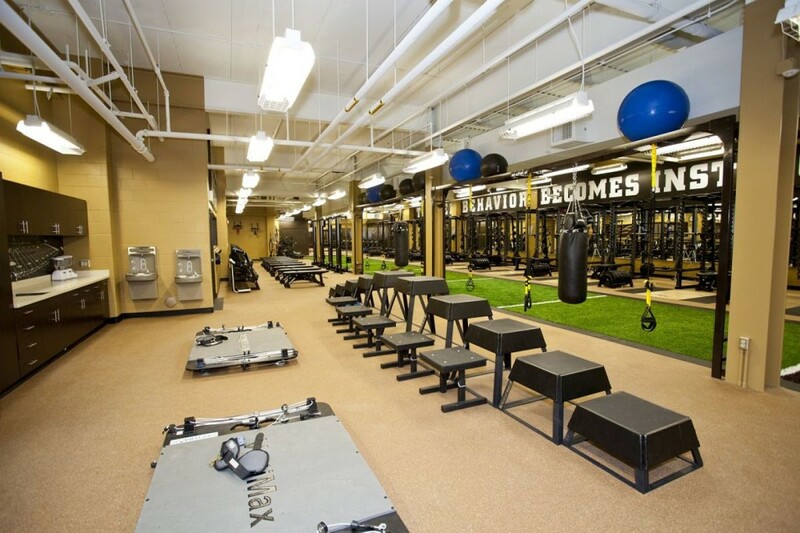 The Weight Room area of 6,012 square feet was renovated and updated by first removing the new weight room equipment to a temporary facility location for the duration of the scope of work and replacing the equipment upon completion. Portions of the existing concrete floor were removed and an inlaid portion of stadium Field Turf was installed to provide an indoor training component. Existing flooring, finishes, and millwork were replaced, lighting was modified to provide additional overhead heights, and high end graphics were incorporated to unify the new space with program goals and enhancement of the Bronco brand. 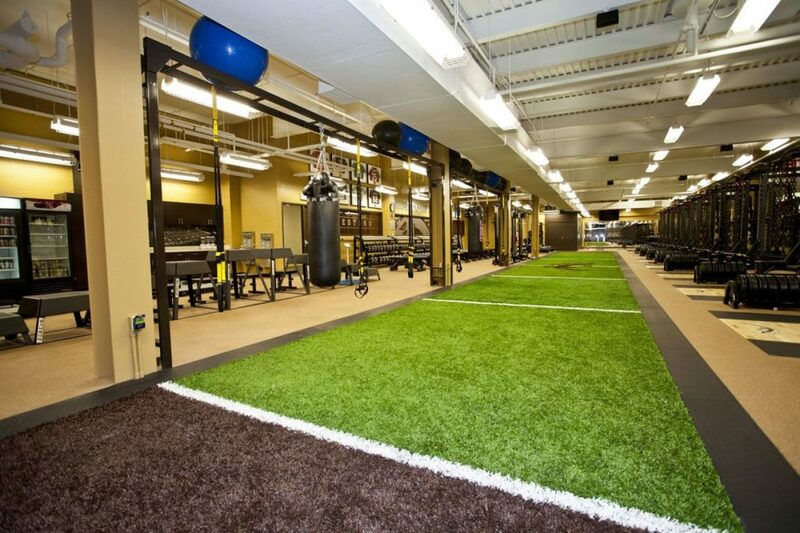 Renovations have been considered a success as current WMU players and recruits are enthusiastic about the look, feel, and functionality of the new space.